The Arab League has called for those behind the “crimes against humanity” contained in leaked Iraq war documents published by the whistleblowing website WikiLeaks to be brought to justice. “These documents and what they have unveiled… constitute a crime equivalent to crimes against humanity and violations against the Iraqi people,” said Ahmed ben Helli, the Cairo-based organisation’s deputy secretary general. “We must pursue those who committed this crime,” in cooperation with the Iraqi government, he said, quoted by Egypt’s official news agency MENA. Mr Ben Helli called for more documents to be released. WikiLeaks last week published nearly 400,000 secret US military documents which offer a grim snapshot of the conflict from 2004 to 2009, especially of the abuse of civilians by Iraqi security forces. The heavily abridged logs appear to show that the US military turned a blind eye to evidence of torture and abuse of civilians by the Iraqi authorities. WikiLeaks founder Julian Assange said the documents reveal about 15,000 more civilian deaths in Iraq than were previously known. Rabat – Morocco has withdrawn accreditation from correspondents of the Arab television channel al-Jazeera because of their “irresponsible” coverage of the North African kingdom, the Communication Ministry announced Friday. 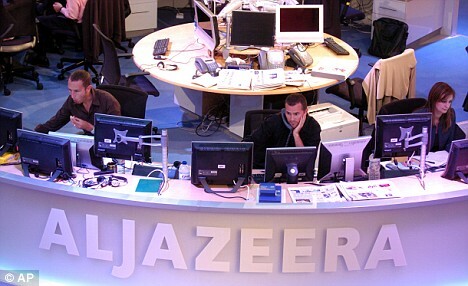 Al-Jazeera had violated the journalistic rules of “honesty, precision and objectivity” several times, the ministry said. The Qatar-based channel’s coverage had tarnished Morocco’s image, downplaying its achievements in areas such as development, infrastructure projects, democracy and human rights, the ministry complained. It had also damaged Morocco’s interests in areas such as its territorial integrity, the communique said, in an apparent reference to Morocco’s claim over Western Sahara. Al-Jazeera had not heeded several official warnings, the ministry said, explaining that Rabat had decided to expel the TV broadcaster after carefully evaluating its reports. The channel had also imported technical equipment without the required permits, the ministry added. Kathmandu: The Maoists have decided to take separate political documents prepared by the top three leaders–Chairman Pushpa Kamal Dahal, Vice chairmen Mohan Baidya and Dr. Baburam Bhattarai–to the party plenum, scheduled to begin November 14 in Gorkha district, for debate and discussion. A meeting of the top office bearers took a decision to this effect recently. The last central committee meeting of the party had decided that Chairman Dahal would accomodate the views expressed in the separate documents prepared by Baidya and Bhattarai and prepare a new one for presentation at the plenum. As per the decision, the vice-chairmen duo will present their documents at the plenum if they are not satisfied with Dahal’s new document. “The leaders agreed to take the separate documents to the plenum as that would be more democratic,” said Maoist politburo member Narayqan Sharma. The Obama administration says it is backing a strategy of “reconciliation with the Taliban”. But just back from Afghanistan, unembedded investigative journalists Jeremy Scahill and Rick Rowley say night raids by U.S. Special Operations forces are alienating many Afghanis, strengthening the insurgency, and undermining US attempts to win “hearts and minds” in the war. Video from interview on Democracy Now in New York City. For the complete interview, transcripts and more information, visit http://www.democracynow.org/2010/10/29/killing_­reconciliation. 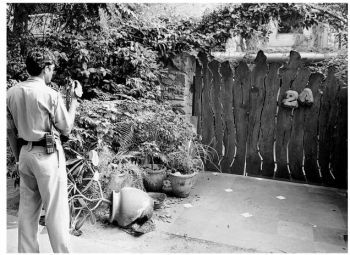 Former inspector general of police K. Lakshmana was sentenced to life imprisonment by a CBI court here on Thursday for killing Maoist leader A. Verghese in a fake encounter 40 years ago. This is the first time a senior police officer has been convicted for life for killing a rebel in a fake encounter. 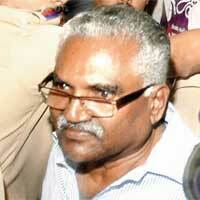 Soon after CBI judge S. Vijayakumar gave the verdict, Lakshmana (78) was sent to the Thiruvananthapuram central jail. Verghese’s brother A. Thomas said he was happy. “It is a lesson for those in khaki who take the law into their own hands,” he said. Former Maoist and activist K. Ajitha also described the verdict as a historic one. “It is an eye-opener. Though late, this will help many such aggrieved families get justice,” she said. The judgment, which comes at a time when the country faces a renewed and a vastly strengthened variety of Naxalism, stressed the dedication and care required to deal with such a threat. The police shot dead Verghese, then a 28-year-old political activist, in the Tirunelli forests (in northern Wayanad district) in February 1970, and said he had been killed in a shootout. But former head constable Ramachandran Nair, probably under the stress of a guilty conscience, revealed in 1998 that he had killed Verghese on the orders of his superiors, especially Lakshmana, who was then a deputy superintendent of police. Lakshmana was later inducted into the Indian Police Service. 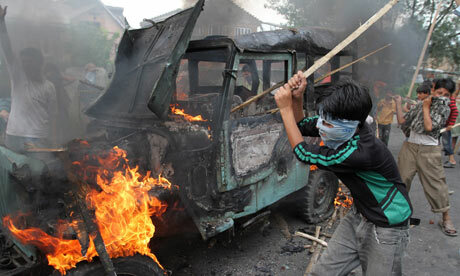 The current unrest in Kashmir has met with an increasingly brutal response from the Indian military. The news that the prize-winning Indian author Arundhati Roy may be arrested for her remarks about Kashmir is not surprising. It is a sign of growing Indian intolerance towards the issue. During the current phase of the Kashmiri intifada, the only Indian response to Kashmiri demands for justice and self-determination has been the use of overwhelming military force. More than 112 civilians – mostly youths – have been killed and several thousand injured, mainly by the Indian military and paramilitary. In the absence of strong international criticism, the Indian state has been emboldened to crush any dissent or demands of justice ferociously. Intimidating Kashmiri civil society has always been part of the standard Indian response, but it has grown exponentially over the last few months. In early July, the police arrested Mian Qayoom, president of the Kashmir Bar Association (the main lawyers’ body), for protesting against human rights violations. He was arrested under the draconian Public Safety Act, which authorises incarceration for up to two years if the authorities feel that the detainee may disturb peace and order or threaten the security of the state. NEW DELHI: A large group of BJP Mahila Morcha activists protesting Arundhati Roy’s recent remarks on Kashmir broke into the compound of the writer’s residence here on Sunday. The mob assembled outside Ms. Roy’s house in the high-security diplomatic enclave of Chanakyapuri around 11 a.m. and shouted slogans against her for more than half an hour. “Curiously, three news channel vans were stationed outside our house even before the protest began…the mob was abusive and broke through the front gate of the house,” Ms. Roy’s husband, Pradip Krishen, said. Ms. Roy was not in the house at the time of the attack. In a statement, she said the mob numbered as many as a hundred persons. The activists broke a few flower pots kept outside the house and dispersed before the arrival of the police. They were prevented from entering the house by the guard and servants. Mr. Krishen later lodged a complaint at the Chanakyapuri police station, following which police personnel were deployed outside the residence. He said this was the second such attack at their Kautilya Marg residence since June 2010, when some men on motorbikes pelted stones and smashed some windows.